About "Parallel lines and transversals"
A transversal is a line that intersects two lines in the same plane at two different points. 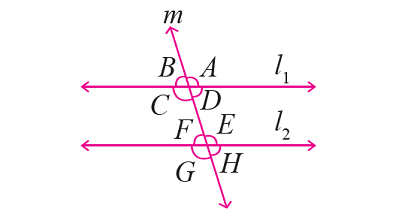 Transversal and lines l₁ and l₂ form eight angles. Here, l₁ and l₂ are parallel lines. 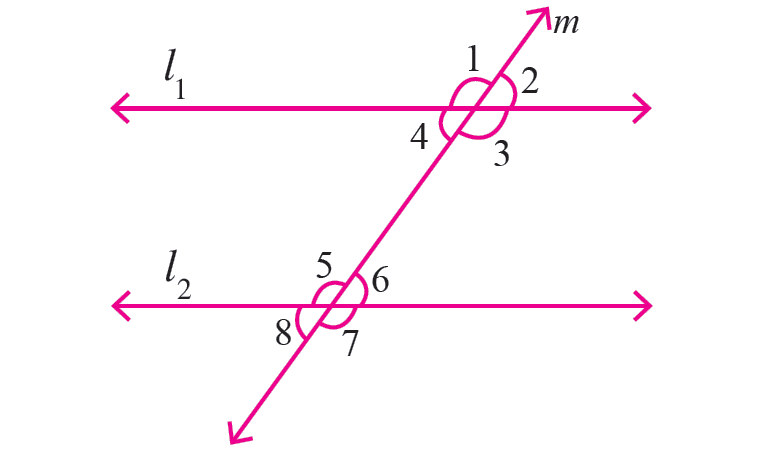 In the figure given below, let the lines l₁ and l₂ be parallel and t is transversal. Find the value of "x". After having gone through the stuff given above, we hope that the students would have understood "Parallel lines and transversals".